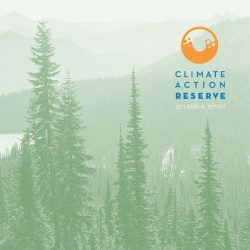 As the premier carbon offset registry for the North American carbon market, the Climate Action Reserve encourages action to reduce greenhouse gas (GHG) emissions by ensuring the environmental integrity and financial benefit of emissions reduction projects. 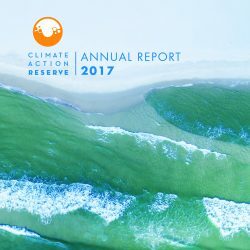 The Reserve establishes high quality standards for carbon offset projects, oversees independent third-party verification bodies, issues carbon credits generated from such projects and tracks the transaction of credits over time in a transparent, publicly-accessible system. 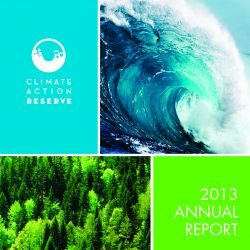 The Reserve offsets program demonstrates that high-quality carbon offsets foster real reductions in GHG pollution, support activities that reduce local air pollution, spur growth in new green technologies and allow emission reduction goals to be met at lower cost. 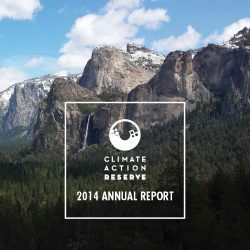 The transparent processes, multi-stakeholder participation and rigorous standards of the Reserve help earn confidence that registered emissions reductions are real, additional, verifiable, enforceable and permanent. 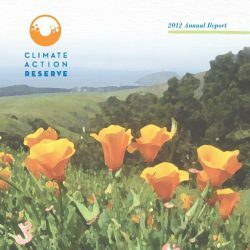 The Reserve’s expertise and insight helped inform the development of the State of California’s cap-and-trade program, which adopted four of the Reserve’s protocols for use in its regulation. 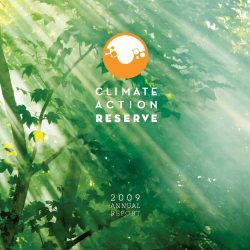 The Reserve began as the California Climate Action Registry, which was created by the State of California in 2001 to address climate change through voluntary calculation and public reporting of emissions. 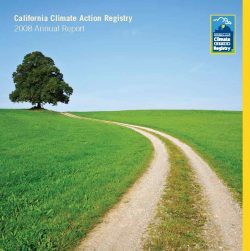 The California Registry helped over 415 leading California-based corporations, organizations, government agencies and municipalities to voluntarily calculate and publicly report their GHG emissions. Its established expertise in emissions accounting translated into expertise in emissions reductions accounting for the North American carbon market. 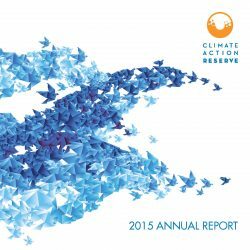 To develop, promote and support innovative, credible market-based climate change solutions that benefit economies, ecosystems and society. In addition to development of the Mexico protocols for its core program, the Reserve has launched and engaged in many other international initiatives. This work has included development of international emissions reduction standards, collaborating with partners and serving as an expert consultant for governments and others. In 2014, the Reserve began providing technical support to the Government of Kazakhstan to support the development of its emission trading program with reliable and trusted offset provisions. 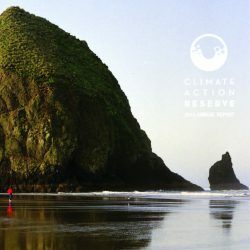 The Reserve is developing one or more standardized protocols for domestic carbon offset projects for Kazakhstan; providing technical support to the Ministry of Environmental Protection (MEP) to implement a program to evaluate and register offset projects; training project developers in the country to develop and submit projects under the protocols; and training verifiers in the country with respect to the protocols. The Reserve has also conducted training for the government of South Korea, has engaged with and supported the World Bank’s Partnership for Market Readiness, and is actively seeking opportunities to support emerging carbon trading programs and markets. The Reserve has expanded its regulatory-quality work in forestry standards and applied its expertise internationally. For many years, it has played an active role in the development of REDD+ standards internationally through its partnerships with the World Bank Forest Carbon Partnership Facility (FCPF) and the REDD Offset Working Group (ROW). 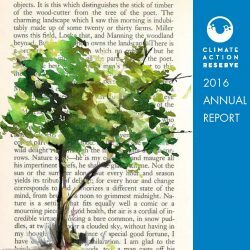 Additionally, it has consulted on forestry issues with national and subnational governments, including Acre, Brazil. The Reserve has also hosted delegations from China, Japan, South Korea, Russia, the United Kingdom, Australia, and Indonesia and has staged side events at and participated in the United Nations Conference of Parties for many years.